Have you recently looked in the mirror only to realize that your teeth are looking a little dull and stained? You’re not alone! Many people feel self-conscious about their smile. In fact, it’s the top aesthetic dental concern for most patients. The good news is that you can enjoy a whiter, brighter smile from a teeth whitening treatment. There are a variety of teeth whitening options available today that can give you the beautiful smile you desire. 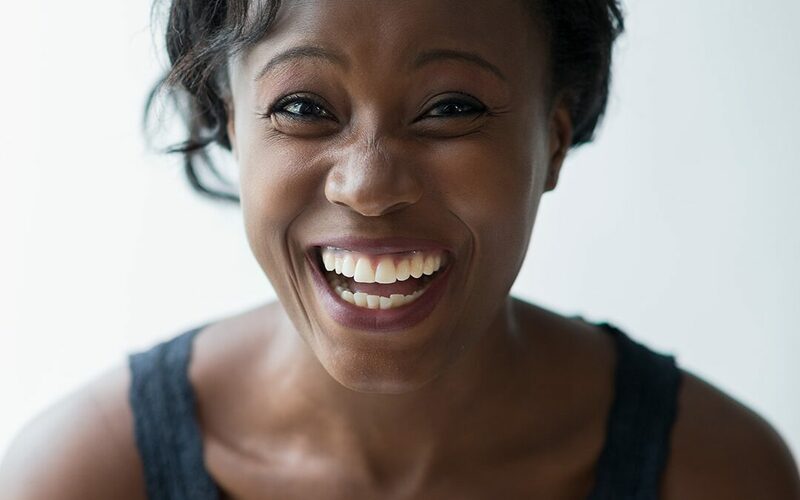 Of course, when you start looking for ways to achieve whiter teeth, you’ll quickly find that there are a multitude of options to choose from, including DIY, over-the-counter, and in-office whitening treatments. How to choose? Ask yourself which options offer the most effective results. Also, be sure to research how long the whitening effects will last and if the whitening method is safe. Intrinsic Tooth Stains – These stains occur when the inside part of the tooth becomes yellowed or darkens. Stains can be a result of using tetracycline antibiotics as a young child, being exposed to too much fluoride during your developmental years, or having a trauma to the teeth. Extrinsic Tooth Stains – These stains occur when the enamel of your teeth become stained by external factors. Common culprits are tomato sauce, berries, coffee, wine, and other dark and/or acidic foods and drinks. Age-Related Stains – Over time, tooth dentin naturally yellows while the enamel thins. Smoking, staining foods, and injuries can also contribute to age-related yellowing and staining. There are many different types of teeth whitening available ranging from over-the-counter whitening gels to DIY methods. Here’s an overview of the most common ways to whiten your teeth. DIY Methods – Search the web, and you’ll quickly find do-it-yourself whitening treatments that can be whipped up in the comfort of your home. Peroxide and baking soda, strawberry paste, and activated charcoal are a few of the popular ones. Unfortunately, while many of these DIY methods may make your teeth appear whiter temporarily, they may also lead to the erosion of tooth enamel. Whitening Gel – Whitening gels are available over-the-counter, and they come in strips, paint-on options, or with syringe applicators. These gels may whiten teeth by a couple of shades with results usually lasting for only a few months. Pre-made OTC Trays – Pre-made, over-the-counter tray whitening systems involve filling a tray with a gel whitening solution that has a bleaching agent. The trays are worn for a designated period of time to achieve the desired whitening results. Unfortunately, pre-made trays don’t have a custom fit, which can increase the risk of burning soft oral tissues and limit the final results. The problem with DIY methods, whitening gel, and pre-made OTC trays is that these types of teeth whitening treatments are not implemented under the supervision of a dental professional. If your tooth enamel is weak before using an at-home treatment, you could cause lifelong damage to your smile. In-Office Whitening – In-office, professional whitening options offered by a dentist provide the safest, most effective results in regards to whiter teeth. Tray-based tooth whitening systems may be available from your dentist and are a better option than OTC trays. These trays are customized to fit your teeth and are fitted by your dentist. Dentists offer other types of whitening treatments as well, such as in-office bleaching that may be used in combination with lasers, special lights, or heat. Professional treatments offer safe, dramatic, long-lasting results. Why should you choose a professional, in-office tooth whitening service over at home whitening? Those over-the-counter and DIY teeth whitening solutions come with some significant risks. One of the biggest dangers is overusing the product. Since OTC and DIY solutions don’t offer professional, dramatic results, many people use them too often or longer than recommended, increasing the risk of damaged tooth enamel, tooth decay, and other dental issues. OTC products also have the ability to burn your soft oral tissues, especially since they aren’t customized to fit your mouth. Tooth sensitivity is another big problem that many individuals experience after using over-the-counter or DIY whitening treatments. If you want a whiter smile, don’t trust your teeth to unproven do-it-yourself treatments or over-the-counter products. Make sure you whiten safely and enjoy the dramatic results you want by talking to your dentist about the best whitening treatment for your needs. Triangle Dentistry, located in Raleigh, NC, provides a state-of-the-art facility that offers exceptional general dental and specialty services guided by empathy of a patient’s needs and desires. Services range from dental crowns to veneers and whitening procedures. For further information, questions, or to schedule an appointment, contact the office at (919) 747-3608.